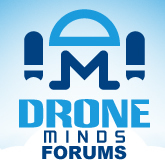 Share your drone aerial video footage and photographs. Warning! This video can cause a seizer. Birds, Surfers & The Ocean. Some beautiful footage of my early morning dog walk. Got in 2 flights in one day. The beach and a trail at 800 ft elevation.